Today, I'll just leave you with a link to a list of some great staple toys for the kiddos. 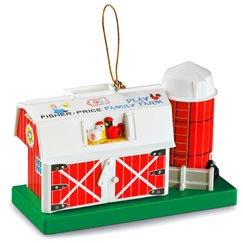 i loved that barn growing up. i remember that our church had it and i would open the doors a hundred times in a row, just to hear the cow say "moo"